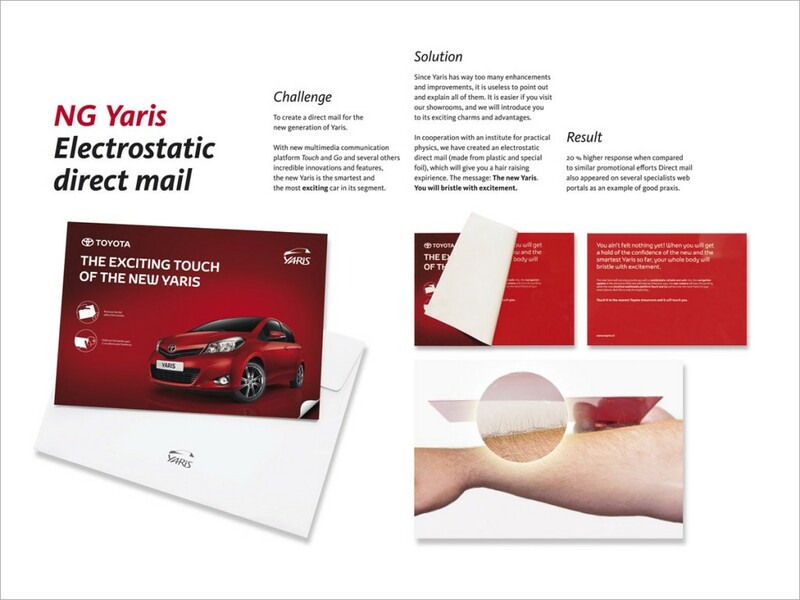 I’m not sure I’m totally sure how this works but it looks like when you peel open this direct mail piece for the Toyota Yaris, the electrostatic-friendly materials it’s made out of (foil and plastic) makes your arm hair stand on end. I raise a glass to you sirs and ma’ams. Not sure a normal consumer would give a crap, but a ad geek like me eats this stuff up. This entry was posted on Tuesday, November 15th, 2011 at 8:00 am	and is filed under Advertising News, Car Stuff. You can follow any comments to this post through the RSS 2.0 feed. You can leave a response, or trackback from your own site.